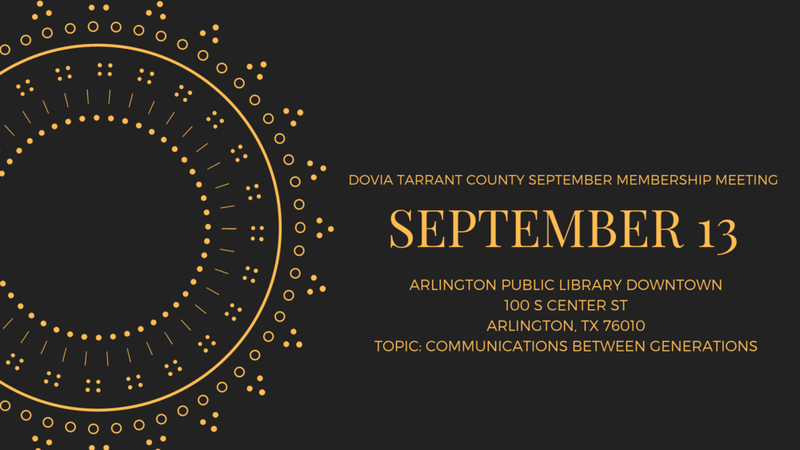 Hello DOVIA Tarrant County Members! Our September Membership Meeting will be held on August 13 from 11:30am until 1:00pm at the Arlington Public Main Library, 100 S Center St, Arlington, TX, US, 76010. Our topic this month is Communications through Generations. We need you to RSVP by September 11th at noon to reserve your spot and lunch, if you are eating with us. We look forward to seeing everyone there!